​When it comes to mobile apps, "if you build it they will come" does not apply. You must market your app to be successful. Quick disclaimer: this article is primarily geared towards small to medium sized businesses and organizations who have or are thinking about using a mobile app as a marketing/communication tool for their business (Example: a salon owner, local restaurant or school). It's not for an app entrepreneur who has created an app that is essentially their business (Example: the latest fitness tracking app or Snapchat). Now that I've made that clear let's get started. You have a distinct advantage in marketing your app because you already have a built in customer base, community or audience. Your mobile app will be used as a tool to communicate with, add value to and engage that audience. You don't have to worry about creating an app and then finding an audience. You've already got the audience, which is huge! Don't waste time and market your app to anyone besides your current customers/audience. The probability of someone who is not a current customer downloading your mobile app is slim to none. There are a number of ways to effectively market your app. I'm going to provide you with seven ideas to get your creative juices flowing. First, we need to list the common marketing channels you might use to promote your app. Then we'll discuss some clever ways you can implement to promote your app in these channels. The list below is by no means comprehensive, so add any additional channels you may be using in your business. Any social media channels you are active on should be included as a place to promote your app and its benefits. Your website is the hub for all your marketing efforts. Your mobile app should have strong placement that let's current and potential customers know why and how to download your app. Email is still a primary marketing channel for many businesses. Take advantage of your current customer list and create targeted email messages about your mobile app. I would highly recommend your email messages solely focus on your mobile app. If you bury your mobile app launch into a weekly or monthly communication with a bunch of other information, it will most likely get skipped over. Check this out if you need to kickstart your email marketing. What type of content are you putting out? Blog? Podcast? Videos? Use any of your content marketing channels to announce and promote your app. If you are using online advertising this can be a great channel to promote your app. Make sure you target your advertising to current customers. There are all kinds of things you can do offline to promote your app. Create a list of the different offline interactions your have with customers and make sure you promote your mobile app in everyone of them! You will want to promote your app in all the marketing channels you currently use. Marketing your app is not rocket science. Creating a clear plan with a timeline and the actions that need to be completed will help ensure your mobile app is a success. Below are 7 different ideas you can use to effectively market your app. Feel free to tweak as appropriate for your business or organization. You want to make it easy for app users to share your app and spread the word. In app sharing will allow users to do this easily. The easier you can make it for someone to share your app, the higher likelihood it will happen. Having in app sharing in your app is easy and something I would definitely recommend doing. You can use Facebook Custom Audience to upload your current customer list and promote your new mobile app to that specific audience. This is a highly targeted way to reach your current customers consistently over a period of time. Create an eye catching ad with an incentive or offer for downloading your app. By targeting existing customers you will reach the people most likely to download your app...super effective. Sometimes people need a push to do something. Offer an incentive to anyone who downloads your app. Freebies, one time discounts or extra loyalty stamps are a few ways to do this. Offering a strong incentive is your way of saying thanks and will go a long way in driving app downloads and letting customers know you appreciate their support. You've got your social media icons on your website, email signatures and email marketing right? You need to do the exact same thing for your app. Placing the app store icons on the homepage of your website, email signatures, email marketing, social media pages, etc. will be a consistent reminder to your audience. Best of all, you only have to do this once and it's done! Your contest can come in one of two forms. First, you might create a contest to promote downloads similar to offering an incentive in step 3 above. For example, everyone who downloads the app will be entered to win a specific prize. Second, you might create a contest to encourage users to share/promote your app for you. For example, you can choose a random winner each week who promotes your app via social media with a specific hashtag. If possible, I would recommend offering a motivating prize that brings people back to your business. For example, a restaurant might offer a free dinner for 2. If your business or organization has consistent clients visiting your place of business you need to take advantage of this. Promote your mobile app onsite with flyers, table tents, sales receipts and anything else you deem appropriate. The key is to take advantage of having a captive audience in your place of business. You want to make sure they know about the app and the benefits they will receive by downloading it. It's one thing for you to tell customers how great your app is, but it holds a lot more weight if they see the great things other customers are saying about your app. Customer testimonials will provide social proof for your app and further encourage others to download it so they can start to realize the same benefits. If you can get testimonials about the specific benefits customers are experiencing it will be much better than just a generic "this app is great" type statement. I hope these ideas got you excited about the plethora of ways to promote your mobile app. Promoting your mobile app doesn't have to be difficult or expensive. 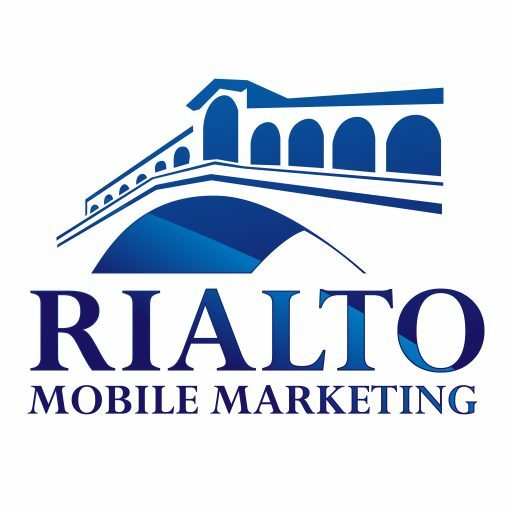 The most important thing is to create a plan and consistently promote the benefits your customers or audience will see by using your mobile app.